Huge Savings! 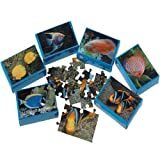 Up to 20% off on Puzzles at Saltarines Quito, Page 2. 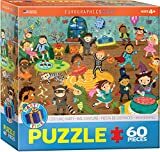 Top brands include Ravensburger, KING, Blank Puzzle, 4E's Novelty, EuroGraphics, Twister.CK, Little Treasures, Cardinal, Ceaco, Big Hero 6, Peppa Pigg, Tenyo, Licensed, PJMASKS, U.S. Toy, Lafayette Puzzle Factory, Blue Panda, & George. Hurry! Limited time offers. Offers valid only while supplies last. 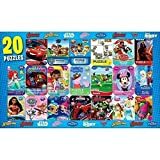 Blank Puzzle A1+, 59x23 in (Wide), 207 Large Numbered White Pieces (23x9), Piece Size 3" x 3". Guest Book Alternative. 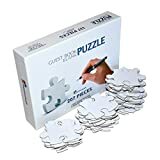 Wedding, Birthday, Party, Event Guest Book Puzzle. 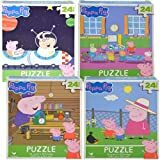 Little Treasures 6 Pack Party Favors Magic Speed Cube, Clear Stickerless Puzzle Cube Great Brain Training Game, 3X3 Easy Turning Smooth Play, Educational Toy Logical Fun. 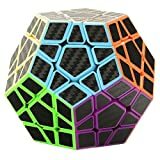 Twister.CK Carbon Fiber 2x2 3x3 Speed Cube Bundle,Magic Cube Puzzle ,Brain Teaser Cube Puzzles Ultimate Ideal Christmas Birthday Party Gifts for all Ages.